When Mother Nature rains on your parade (or event in this case), what happens next? AFR Account Executive Sydney Archer found out following the devastation brought about in Houston, Texas by Hurricane Harvey. Create 2017, AFR’s networking event in Houston, was scheduled to take place on September 27th at the McGovern Centennial Garden, part of the Hermann Park Conservancy. A month prior to the event, the Create overseeing committee had begun expressing concerns regarding the scheduled date due to the severity of Harvey. “We had to have the conversation about postponing the event.” Archer said. “With so many cancellations due to the storm, it would be a hardship to donate to any event only weeks afterward. We wanted to be sure everyone had time to take care of their families and businesses. Luckily, all our vendors were still on board when we rescheduled for October 25th. By the date of the event, Harvey was long gone. However, many businesses in Houston were still feeling the destructive after-effects of the storm, which surpassed Hurricane Katrina as the costliest tropical cyclone on record. 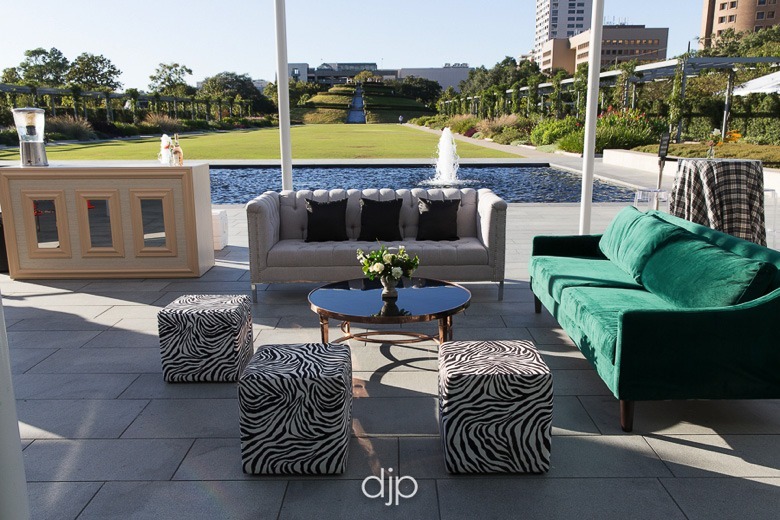 Since this was AFR’s first networking event in Houston, the newest of its 27 locations, the company planned to go a step beyond providing posh furnishings. 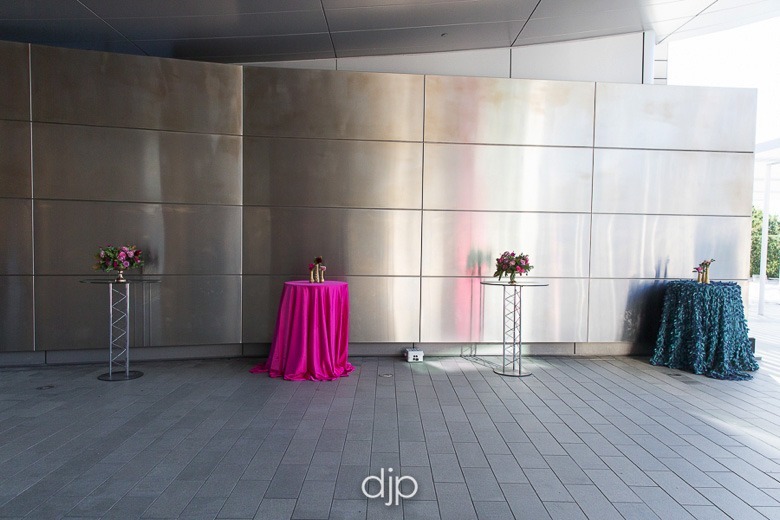 “We auctioned off a three-hour event at McGovern Centennial Garden…” Sydney said. 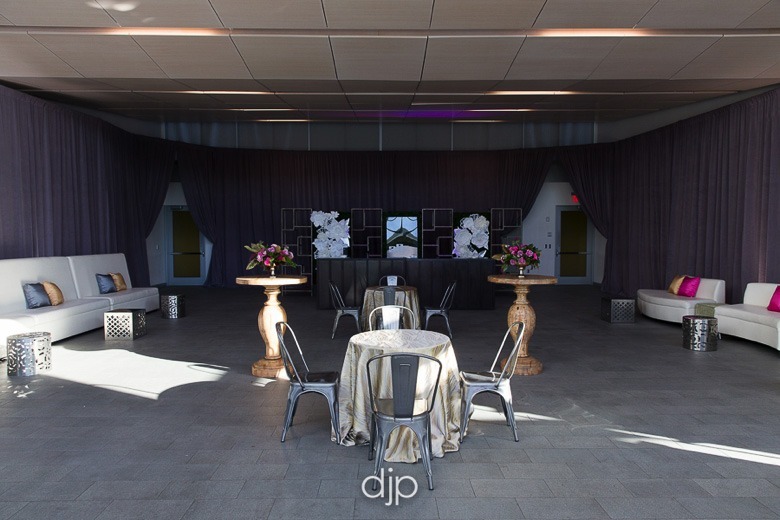 “Plus, we added $2,500 of AFR furniture, making it a $4,000 value.” This package was purchased for $2,800, and all proceeds were donated to the SEARCH Foundation, a nonprofit organization that assists those in the hospitality industry affected by crisis of all types. 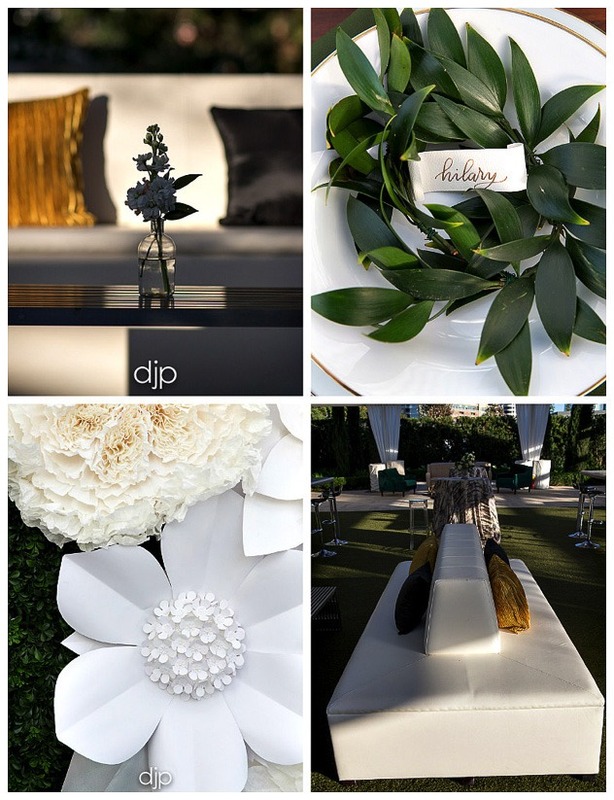 In terms of design, Sydney wanted guests to step out of their comfort zones. 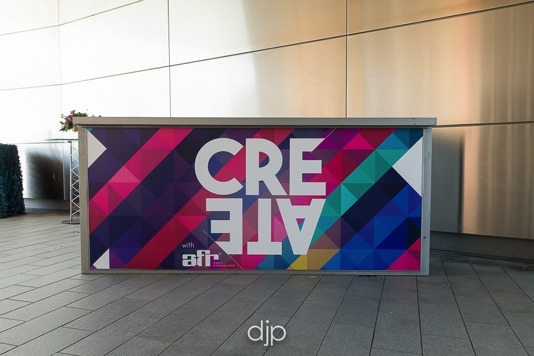 Reflecting AFR’s motto The New Creative Standard, she worked with partners to showcase new and different product. 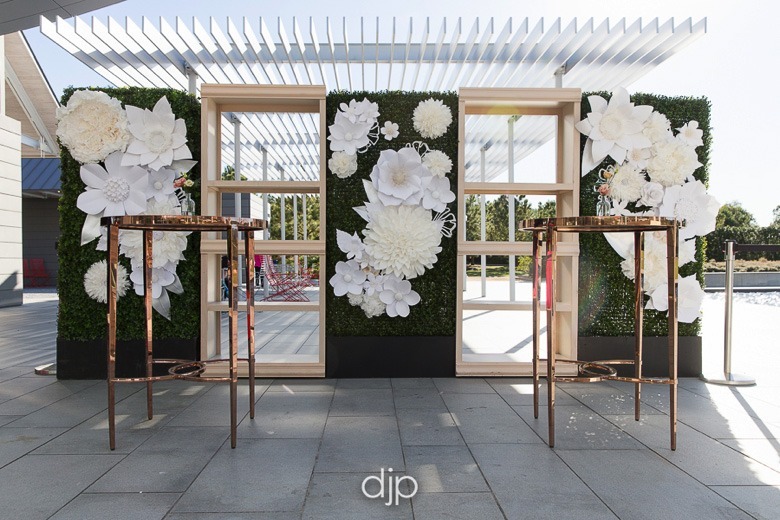 “I wanted our guests to walk into an event that would inspire them and get them excited about how they would use these ideas at their next event.” she said. A custom Create registration table demonstrates AFR’s devotion to The New Creative Standard. 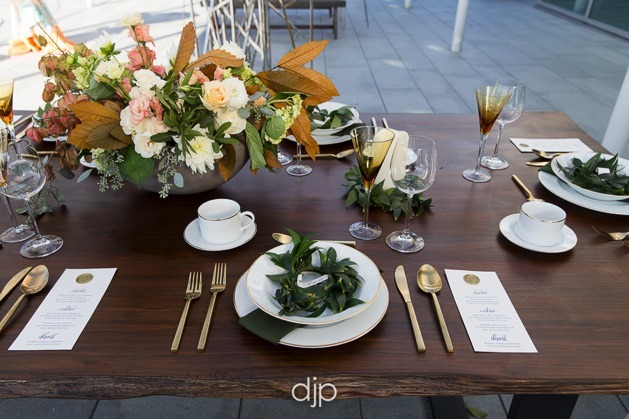 In the patio area, two “perfect-for-Instagram” tables (designed by Two Be Wed) are abundant with details and perfectly camera-ready. One table features a rustic look by making use of a raw edge table and tree stump stools. 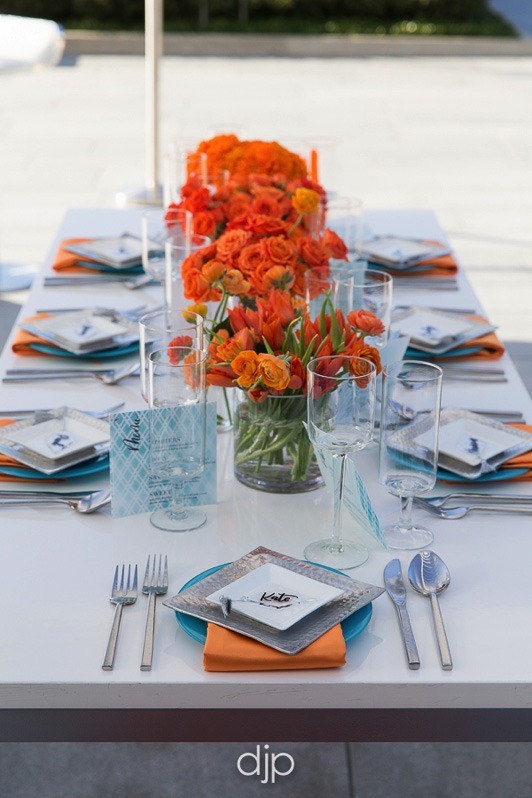 The other table boasts a sleek and contemporary style, staying ahead of the curve by utilizing orange and blue with silver accents. 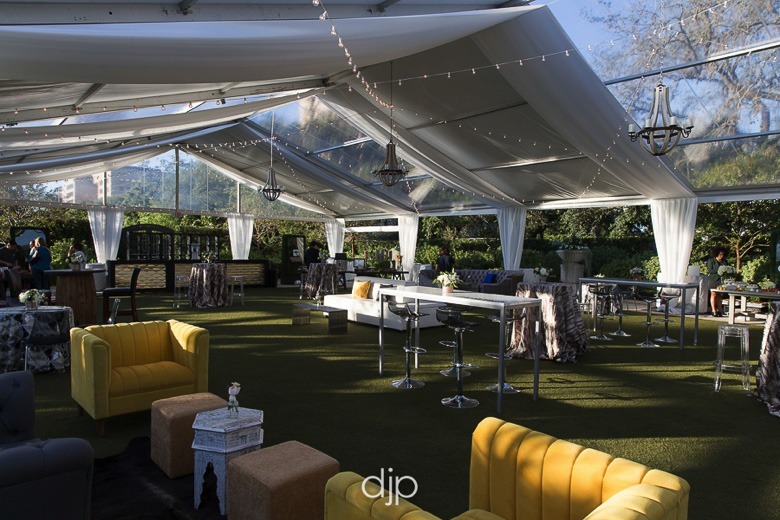 A tent installed by Aztec Tents & Events features alternating panels of clear and opaque vinyl, making visible both the beauty of the day and the sparkle of the night sky. 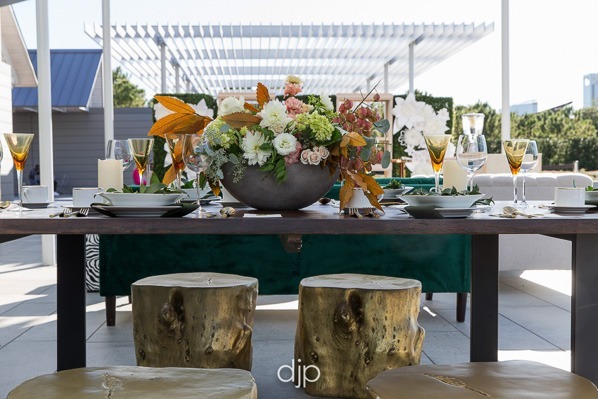 Café lighting and rustic chandeliers deliver an upscale feel to the modern garden. 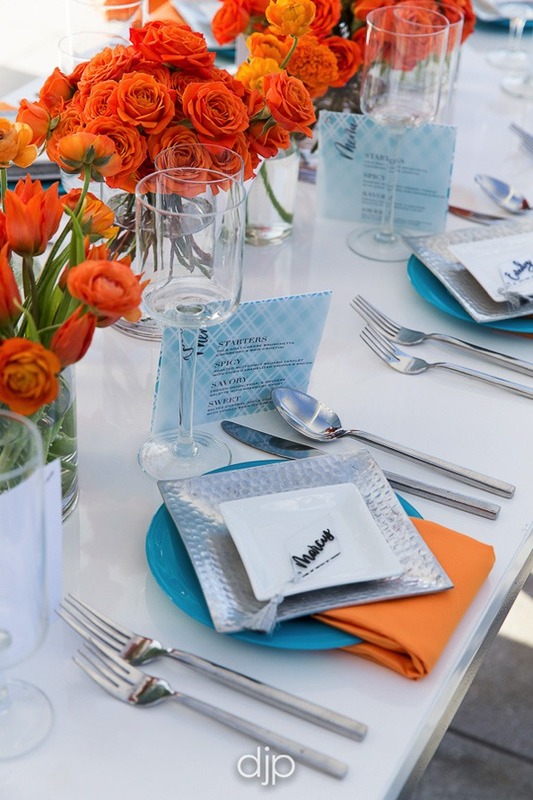 A burst of tangerine seating melts with Moroccan cocktail tables to provide a fun and unexpected visual sensation. Take one helping of emerald jewel tones, mix in some contemporary lines, and add a dash of zebra pattern. Mix it all up and serve! Delicious! When presenting new ideas, be sure to give them the space they need to breathe! It’s too easy to give in to the temptation and exhibit all our ideas at one time. Falling victim to this misstep can detract from the individual value of each idea – not to mention running the risk of sensory overload for your guests! Where applicable, show your ideas off individually. When space is an issue, prioritize your design choices in a way that accentuates and maintains the importance of each individual idea.